The composer Frederick Delius lived at Solano Grove on the St. Johns River near Jacksonville, Florida from 1884 to 1885, and made a return visit in 1897. Many of his beautiful musical works were inspired by his Florida experience. 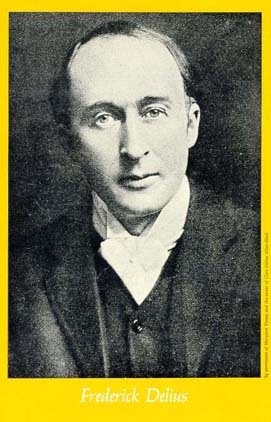 The Delius Festival is the annual celebration of the composer and his music. Songs of Sunset - "Pale Amber Sunlight"
2:00 PM Cummer Museum: "Delius and the Landscape"